Piet Hein Eek design is known for its robust appearance. An excellent match with masterful skills of the potters from Sang Arun in Thailand. They make beautiful pottery, not the obvious thin pottery quality but robust and thick pottery. A fine example of cooperation came about with the designs of this tableware ' THICK ' by Piet Hein Eek. Look at this coffee cup! Beautiful right?! 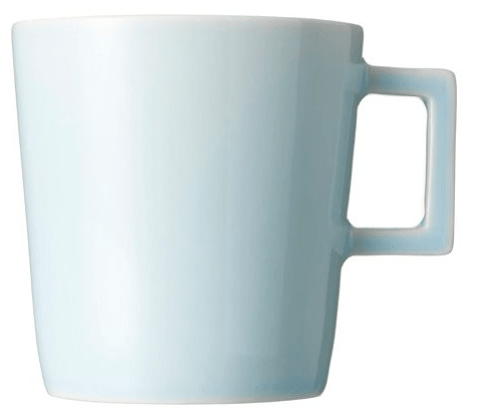 Apart from this blue one the DIK coffee cups are available in the subtle colours, grey and cream glazed earthenware. Cosy and beautiful on your table. ‘DIK’ = thick, that is this pottery for sure! Thicker than the porcelain tableware that we typically are used to in Europe. Dutch Designer Piet Hein Eek did it again: A very special collection of mugs, jugs and coffee cups in three colours: grey, cream and blue. Decorate your table with such a beautiful set or use DIK as a Dutch design gift with a story. 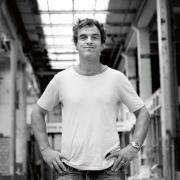 Furniture from reclaimed wood, that is where Piet Hein Eek has made name with. That began in 1990 when he graduated from the Academy for industrial design in Eindhoven with a cabinet of reclaimed wood, now known as the Classic Wardrobe in Scrap Wood. Eek designs and manufactures furniture, lighting and accessories and is engaged in the interior design of buildings. Meanwhile, his work area extended to architecture and transformation of buildings. In doing so, he's is not withheld by conventions or use, which might be the thing that Piet Hein Eek and Fair Trade in recognize in one another. Fair Forward designs fair trade gifts and home accessories under the brand Fair Trade Original. You may, therefore, assume that the series THICK pottery of Fair Trade Original is produced in a fair way and the Thai makers actually can make a living of their work. So your purchase of DIK pottery adds to a sustainable future!